Please check out our Satellite DBS Dish Section for similar products!!!! Increases Signal Strength and Reduces Rainfade!!! 24" dish with Rectangle Channel Feed Arm & Mounting Assembly. The 24" dish is specially designed to reduce rain and snow fade that is common among the smaller 18" dish. For use with a single or dual LNBF and receiver system. Can be used with DTV and Dish Network satellite systems! This 24" Dish is manufactured in galvanized steel with gray powder coating finish, and ideal for DIRECTV and Dish Network applications. Please Note: LNB NOT Included with this purchase. 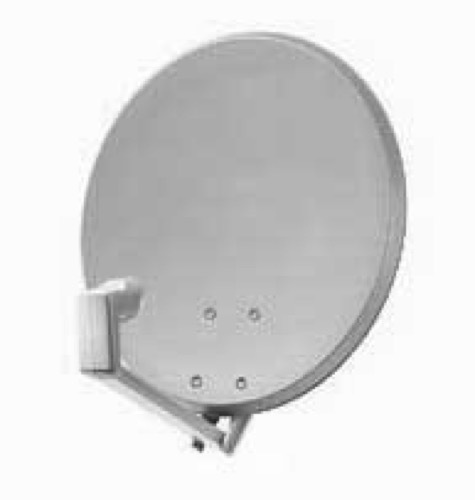 We reserve the right to substitute a KTI OEM dish with same specs.